87 swimmers, including some ex-swimmers, mums, dads and granddads, took part in the Chairman’s Challenge to swim the channel for charity! Brain Tumour Research was chosen by the family of Jon Leggett. Jon was a coach and official at the Club for many years. His wife Heather is a past Chairman and both his children swam for the Club. 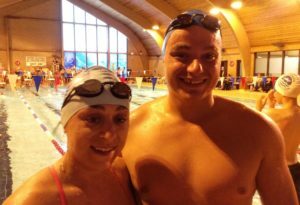 Rachel and Matt both took part in last night’s swim. Cancer Research UK was chosen by Alex Bryant and his family. Still just 19, Alex swam for the Club for many years. His Dad was often heard announcing at our galas. 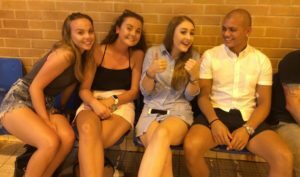 Alex has been undergoing treatment for leukaemia and MDS, from which is now recovering and doing well. He came along to watch everyone swim last night. We had six teams of 14-15 swimmers. 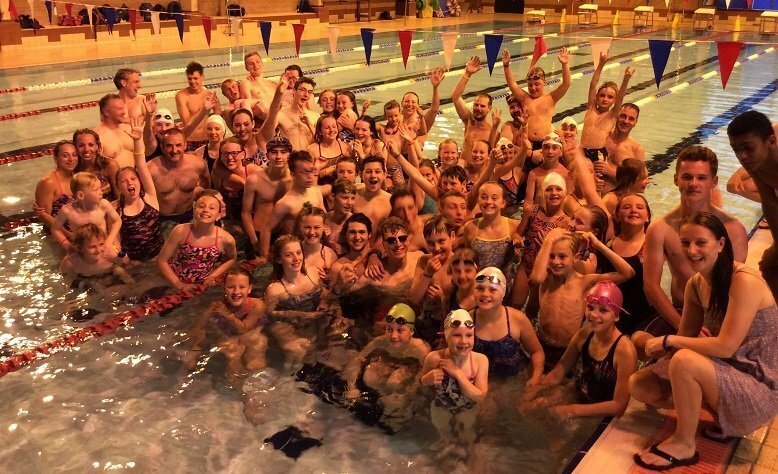 Each team swam 227 lengths, with each swimmer doing around 15-16 lengths. That’s 1,362 lengths in total = 21 miles / 34 km which is the shortest distance across the channel. Our total time was 7 hours 50 minutes 20 seconds, the second fastest time we have done this relay in! The first Chairman’s challenge took place back in 2004! The record stands at 7 hrs 31 mins 49 secs in 2014. So far we have raised over £400. There is still time to donate on our Virgin Money Giving page here.